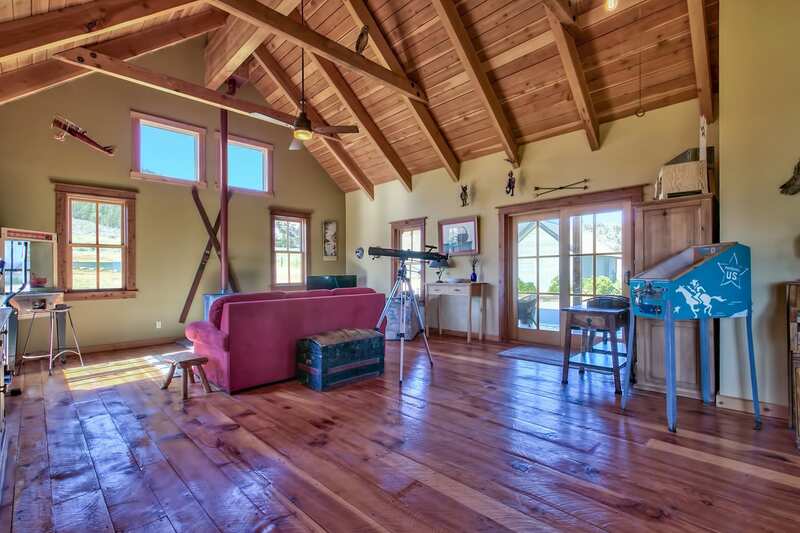 The Greenwoods, who had previously built and designed a home together in Mohawk Valley, looked to the neighboring Sierra Valley to resettle their growing family of four sons onto a larger property. 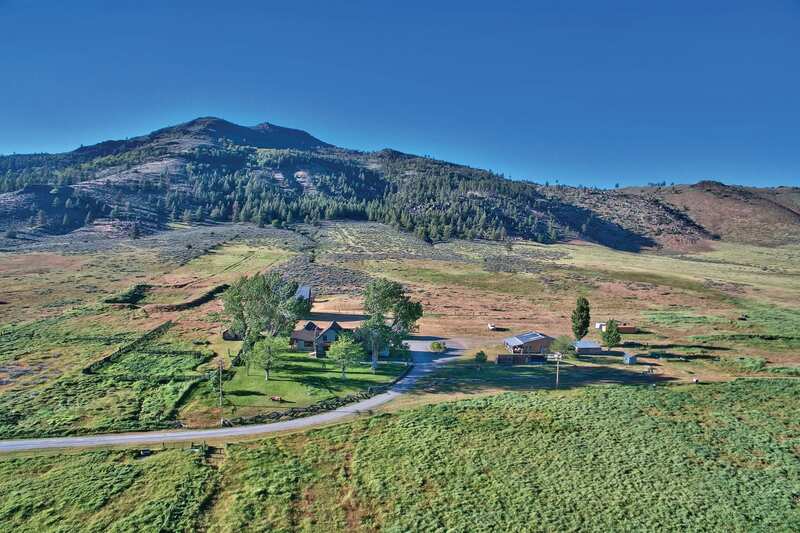 The alpine valley’s abundance of open space, long views, wildlife and rustic charm piqued their interest. 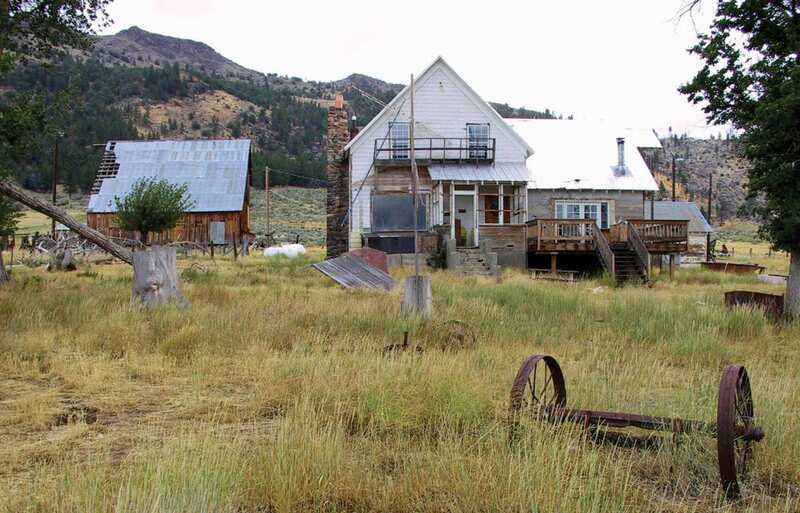 Upon visiting the site, they found the main house in a serious state of neglect—although with good bones and unmatched scenery from its gentle rise at the base of Reconnaissance Peak. 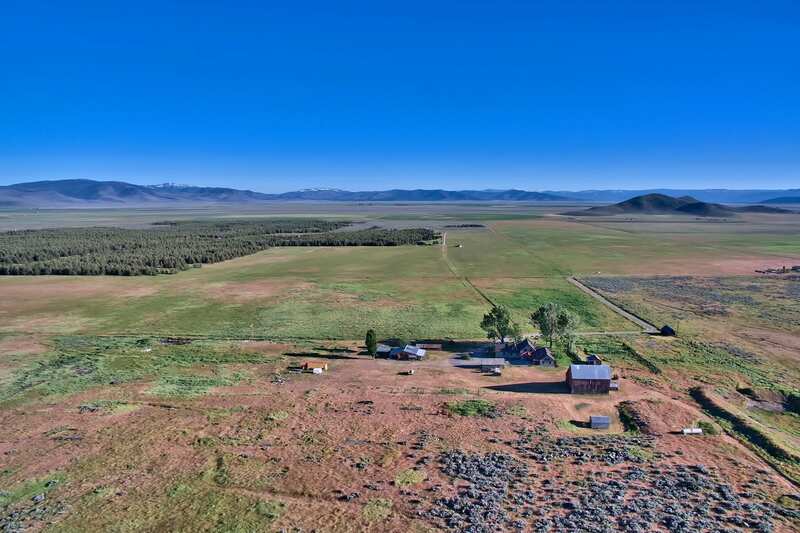 The property, known as the Maddalena Homestead, came with outbuildings, rich soil, southern exposure, its own spring and acres of privacy teeming with untapped potential. 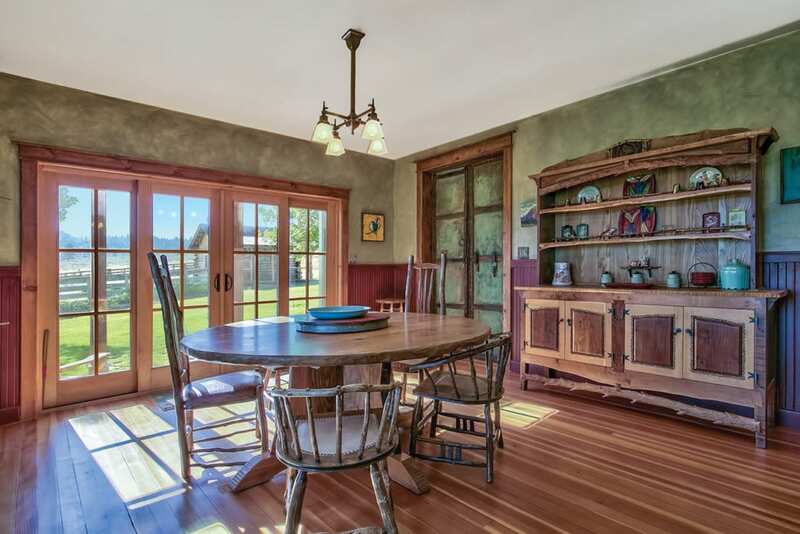 It was enough to ignite the creative spirit within the artist and his wife, who envisioned a rustic but modern design concept using the high-quality vintage materials that speckled the property like gems waiting to be mined. The Greenwoods were in love, and Brad was gung-ho. Lorraine, on the other hand, was less eager to commit. 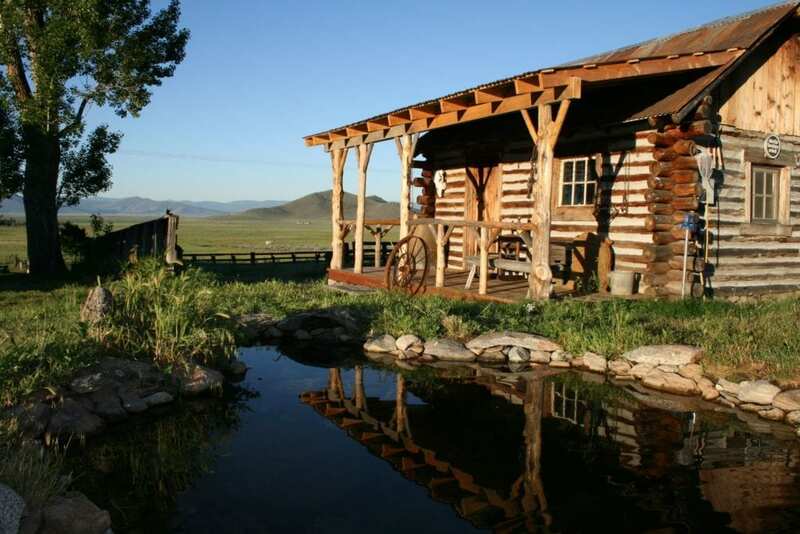 “When we got this ranch in 2003 it was so run down and in such a poor state. It was a mess. 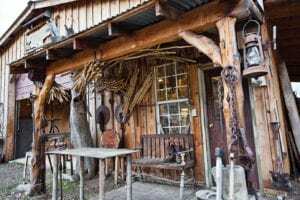 I got cold feet,” says Lorraine, explaining that, while she admired the ambiance of the historic cattle ranches and old dairy barns in the area, it was difficult to envision leaving their Appalachian-style log home that they’d built and designed together in 1995. She could only imagine how long it would take to save the home from such dilapidation. But she trusted their foresight and her husband’s perseverance, knowing he had the drive and talent to bring it to fruition. She focused on the excitement of designing a home together on a property that fused the past with the present. 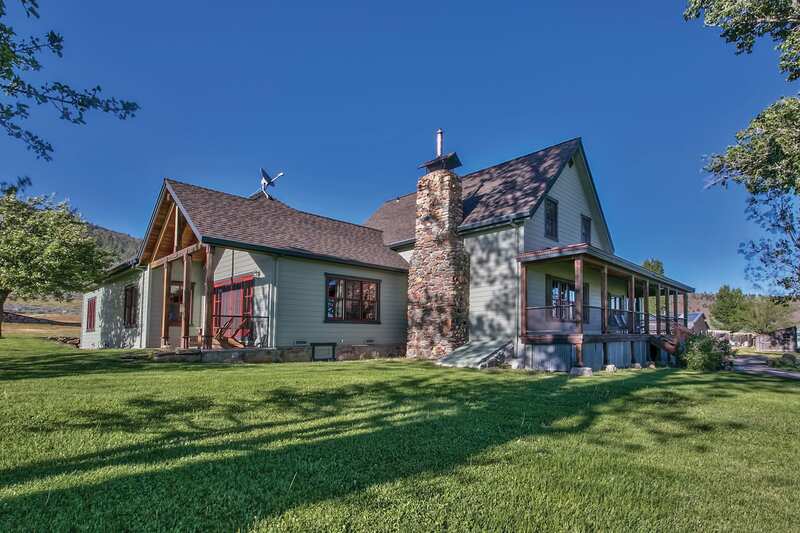 Drawing inspiration from the rugged elegance of the Rocky Mountain homes of his clients, Brad set out to renovate what would become the four-bedroom, 4,200-square-foot home of his family’s dreams. Lorraine observed as her husband worked his way through the detritus scattered about the property, closely inspecting seemingly useless scraps. 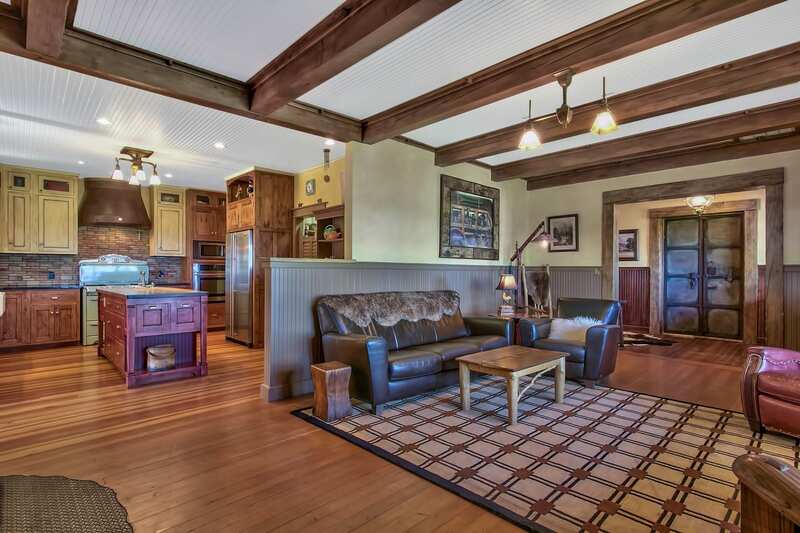 While Brad updated the classic post-and-beam barn with a new roof and cables to better secure the rafters, the main home needed to be stripped down to its studs and completely restored from the ground up. 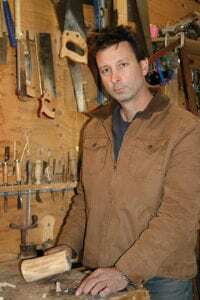 Brad hired craftsmen to assist with construction but performed much of the work himself, expressing his creativity in the finish details—from the recovered wainscoting in the house to the reclaimed timbers, vintage lighting and random castoffs from the backyard and barn. 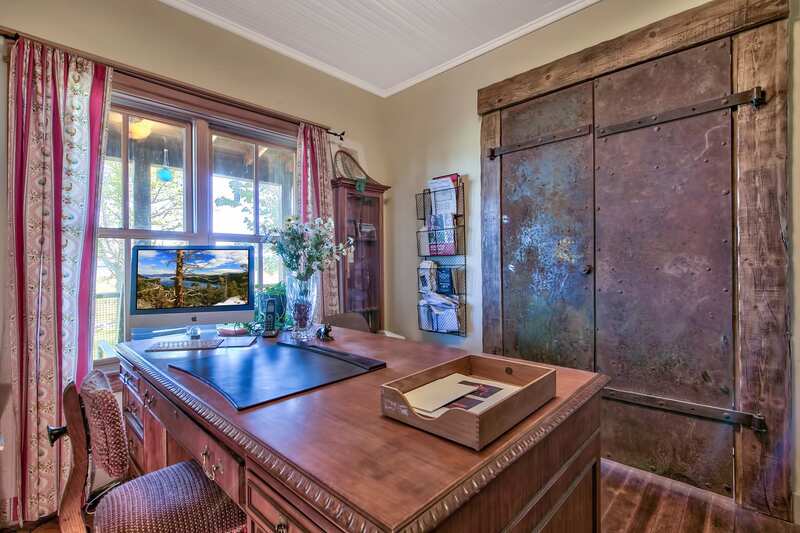 Original metal doors and shutters salvaged from banks in nearby Gold Rush towns were cleverly repurposed to add authentic touches to the game room, office and exterior windows. Brad hand-built the fireplace from flat, lichen-covered volcanic rocks gathered by the family on a nearby mountain. He then finished the piece with a mantel cut from a large fence timber found on the ranch. 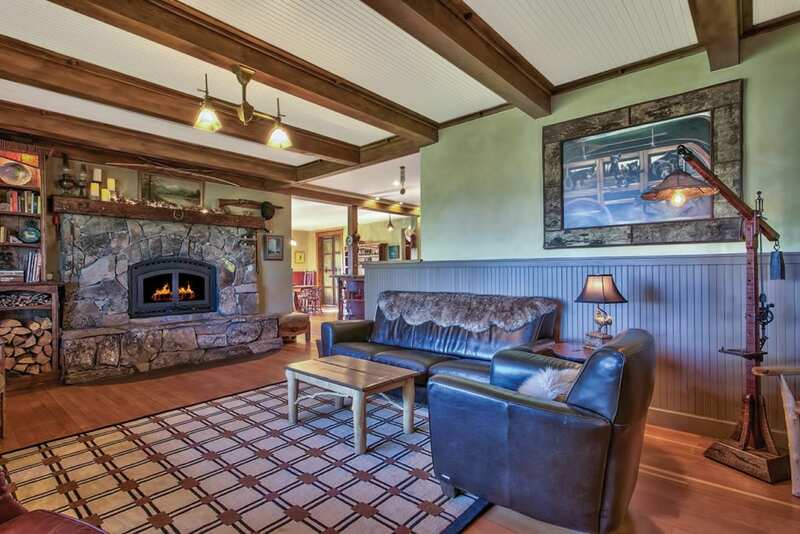 Adjacent to the fireplace, custom cabinetry stands out with unique details—such as crown molding that doubles as an accent light covering, which Brad made from hand-peeled buckthorn bark that the family harvested near the property. A modernized kitchen, which features high-end custom cabinets and appliances, brick siding, a wood-topped island and bar, and walk-in pantry and butler pantry, anchors the original foursquare floor plan and opens up to both the living and dining rooms. 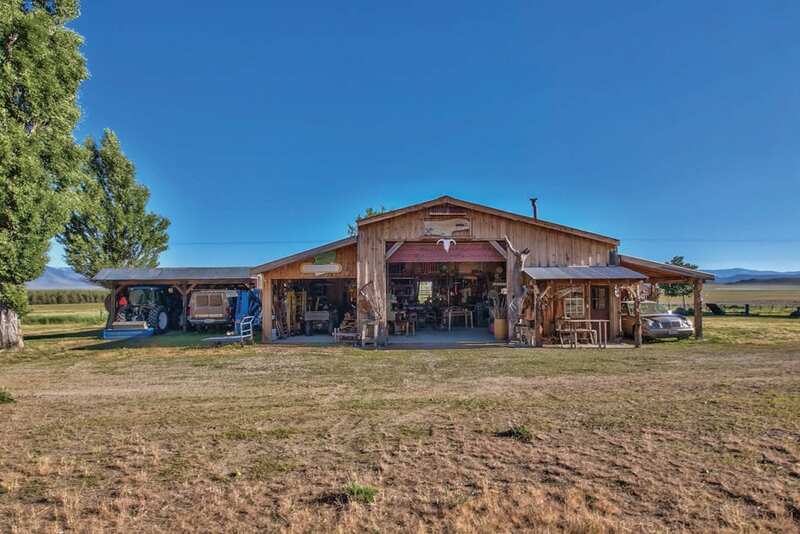 Located a short distance from the house, Brad also customized a large outbuilding and turned it into an art studio in which to work on his furniture and award-winning mechanical pieces. Today, Brad’s work is more sought after than ever, showcased in galleries from Jackson, Wyoming, to Vail, Colorado. For this reason, the family plans to relocate to the Rockies, signifying the end of a chapter for this once-forgotten gem in the Sierra Valley. But where all good stories end, a sequel awaits. Reno-based writer Laura Van Antwerp is feeling inspired by the Greenwoods and may finally repurpose the wood panels collecting dust in her garage.